Part of the joy of building out a home lab or virtualization workstation is finding those one-off items that enable you to build something great, cheap, and unique. Below is a list of some those niche items and distributors I’ve found along the way. I’ll continue to update this post as we go along and I encourage you post up some of your findings too! This place is full of all types of unique adapters and gadgets to make your home lab or workstation PC better. What I like about their product line focus is the support of cards with a PCIe x1 slot. Various server based add on cards (example 2/4 port NIC cards) typically require a PCIe x4 or x8 port. However, most home labs typically have plenty of x1 slots and very little to no support for x4 and x8. Syba seems to make a “plethora” of add on cards that support x1. The only downside is poor documentation / support. StarTech is really becoming a great company with a very diverse and well supported / documented product line. I think they are really starting to give Blackbox a run for their money. I really like their cable and adapter card lines. I’ve been using their Startech Null Modem DB9 to USB to run the CLI on my Netgear manage Switch since 2012 and have yet to have an issue with it. 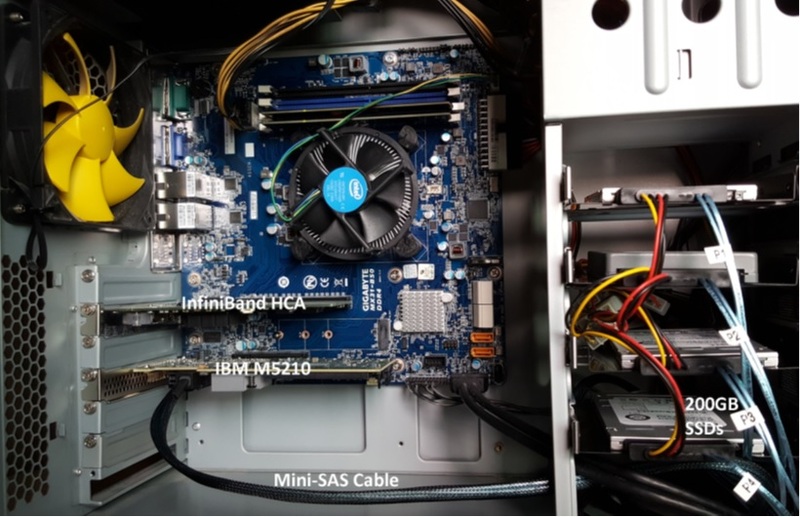 William Lam has blogged many times around the use of NUC style home labs with StarTech Single and Dual USB 3.0 network adapters. Winyao is a “boutique” distributor specializing in NICs, Fibre adapters, and Transceivers. One item I find of value is their PCIe x1 Dual NIC with Intel or Broadcom chipset. Personally, I don’t know much about this company or own any of their products, but at $40-$60 per brand new adapter I wished I had found them before buying the Syba adapters. If you are looking for your next server, workstation, media, or top of the line PC case then take a peek at Fractal Design. Founded in 2007 and based out of Sweden they have really started to dominate the custom case design market. Their innovative designs blend elegance with flexibility, which I might add is a hard combination to find. I like their Arc Midi and Arc Mini R2 line of cases for home lab build outs. However, when or if my trusty Antec Sonata from 2003 lets me down, then Fractal will be next on my list. Here is a great blog post from Erik Bussink around his use of Fractal Design for his 2014 Home Lab. Came across this interesting case / mod company that builds all kinds of custom cases, cables, etc to mod your PC’s. I like the Prodigy Mini-ITX case, with 2 PCI Slots and a spare slot for Disk or other mods it could be a good fit for a NAS project. However I’m not fond of the excessive top and bottom ornaments. ASUS came out with a great M.2 to U.2 option allowing users to interface with SAS disks. They claim this option will help users to interface with SAS SSD and get extreme performance. There are some constraints around this (cables, disks, chipsets, etc) so read up on this before you buy. This entry was posted in ESXi, Home Lab, vmware, Whitebox.